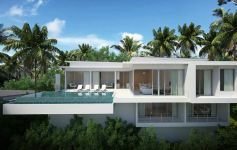 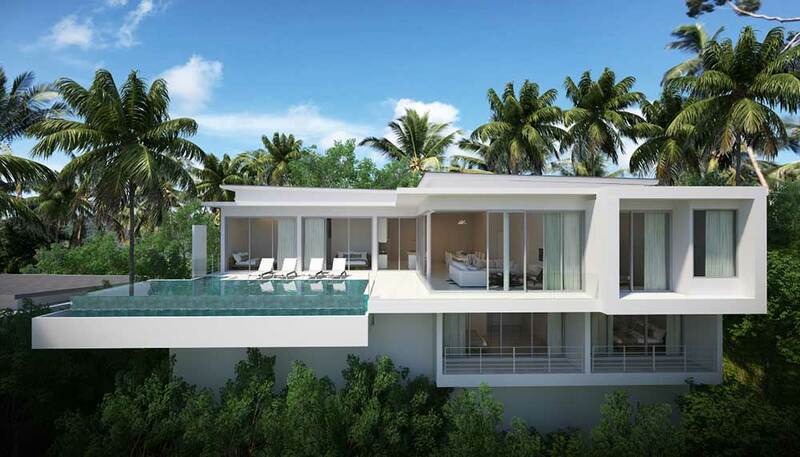 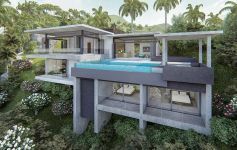 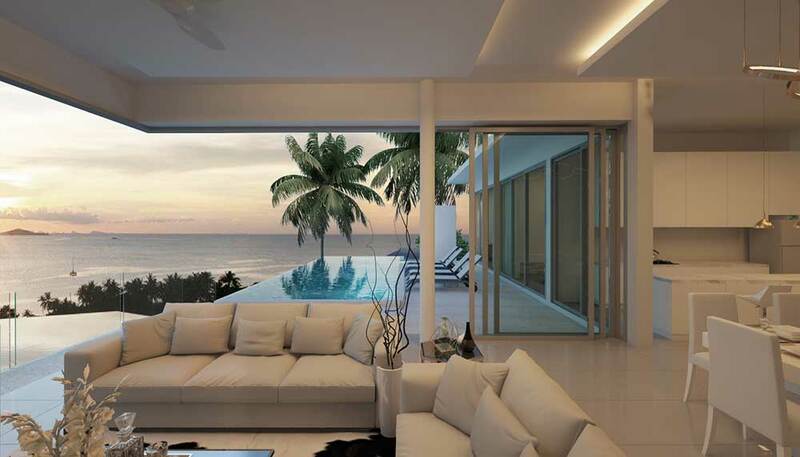 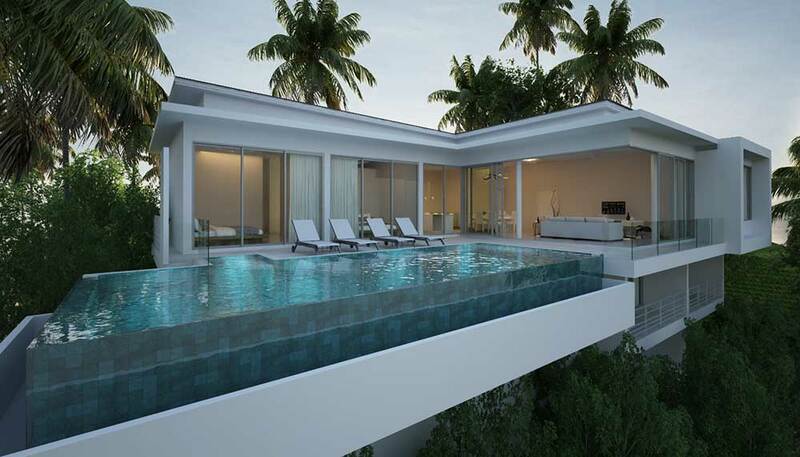 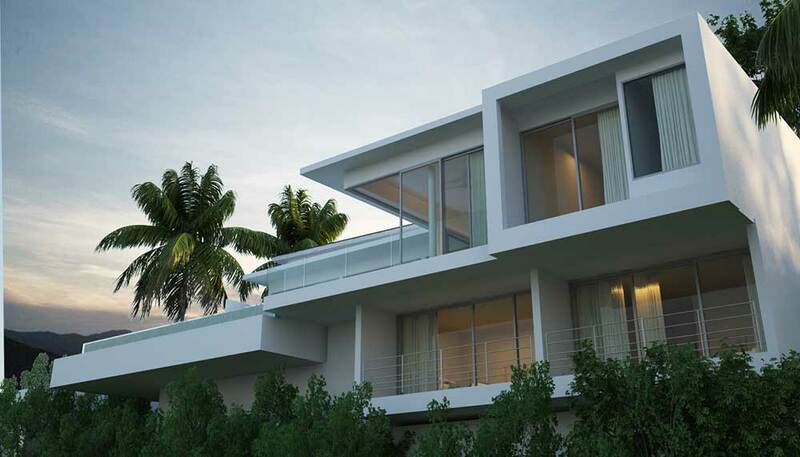 This stunning 5-bed contemporary ocean view villa is one of the very last villas for sale direct from the developer in this final phase of delivery within this award-winning resort project located at Big Buddha. 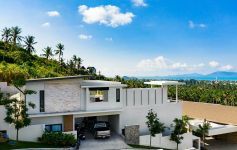 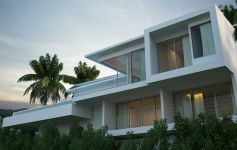 Centrally located in island’s most desirable north-east region, the development is within 10-15 minutes of Samui International Airport, the tourist hub of Chaweng, Fisherman's Village and Choeng Mon Beach. 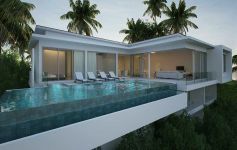 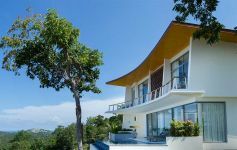 The villa enjoys glorious sunset sea views towards the neighboring small island of Koh Phangan, highest-spec finishing and a striking bespoke contemporary design. 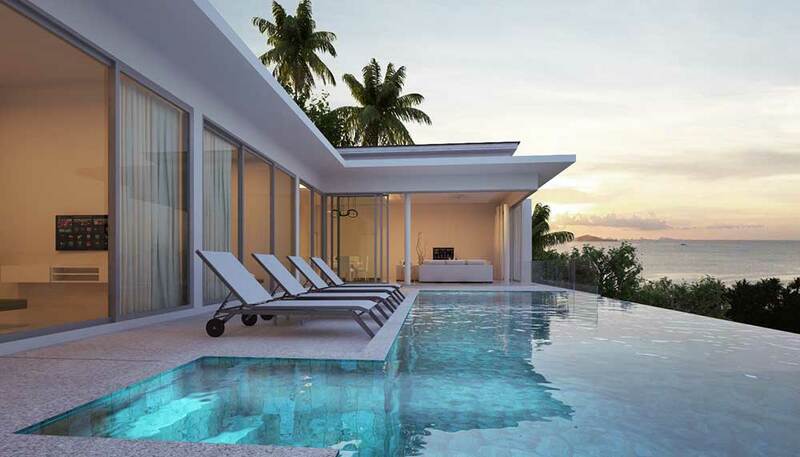 Expansive open plan living/dining & kitchen area; highest spec fully fitted and equipped kitchen; full-height patio doors opening to pool deck from 2 sides of the lounge; 3 double en-suite bedrooms, two with direct pool access; master bedroom with tub and private terrace; large freeform infinity-edge pool and ample surrounding sun terrace; 2-car garage; guest WC. 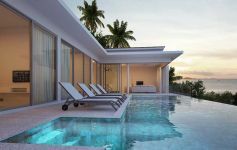 2 double en-suite bedrooms both with private terraces; store room; laundry room; pump room; water tank and pool tan.